Welcome to Everyone! This is Kendermore Convention and Visitors Bureau Office, Dragonlance Fan Circle!! 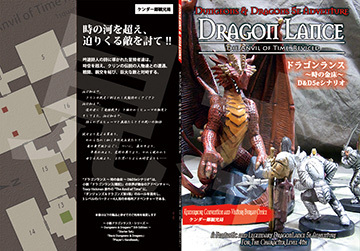 We will join The Comiket Special 6 "- OTAKU SUMMIT 2015 -" in Makuhari Messe International Convention Complex of March 29 2015, and We will distribute Dragonlance Doujinshies (Fan use Like policy) ! 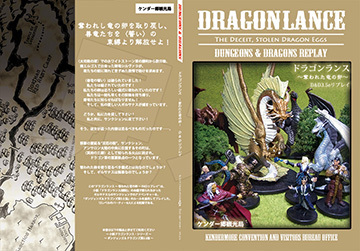 In Comiket Special once in 5 years, we will distribute Dragonlance Original Adventures & Playreport of D&D 3.5e/4e/5e that was distributed in the Comic Market of the past. We republished for this event, Please come for reading! Beyond The River of Time, Attack the Approaching Enemies!! Adventurers who were led to poetry of bard beyond the time and space, encount with legendary persons on Krynn, fight & friendship with them, and battle a huge enemy! Recover the Stolen dragon eggs, Release good dragons from bond of Oath! After a few days from the first victory of the Tower of High Crerist, Silver Dragon Silvara whom Adventurers met in South Ergoth, came in adventurers. Please Help me! Please come to sanction with me! People called them, "The Twenty." 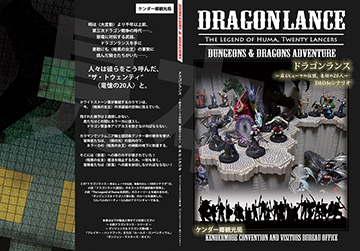 Order to prevent the manifestation The Dark Queen, Adventurers boarded stronghold of the Dragon Army in Neraka, they will journey to the ara of The Third Dragon War beyond the river of time!